Click for an overview of menu suggestions. Custom menus available for any yacht. Availability of certain menus and certain menu items may be limited, and will vary among yachts. Also please inquire about our theme menus and ethnic specialties. Note: Exact menus and menu items will vary by yacht, current menus and options for any yacht are available by request. Sample Captain's Menu - Lighter fare for any celebration. Sample Cocktail Party Menu - Creating a social atmosphere with continuous food. 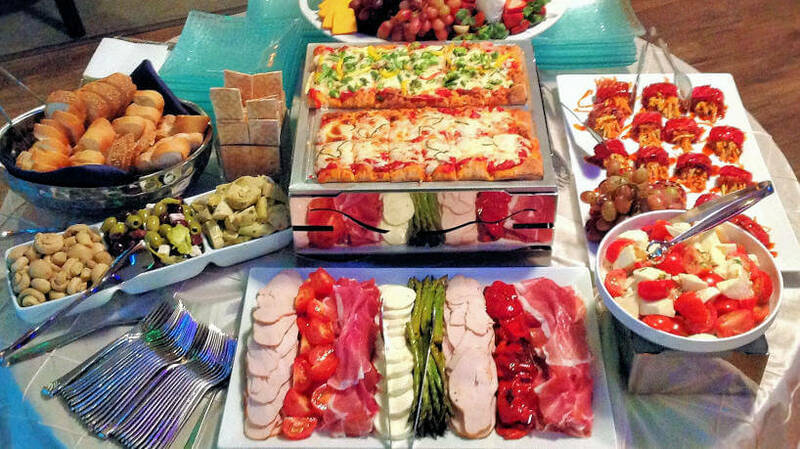 Lite Buffet - Great for casual outings. Sample Premier Menu - Perfect for any corporate or private event. Sample Prestige Menu - Our most popular wedding menu! Sample Platinum Menu - Upscale menu for the most discriminating client. Sample Brunch Menu - Simply scrumptious!